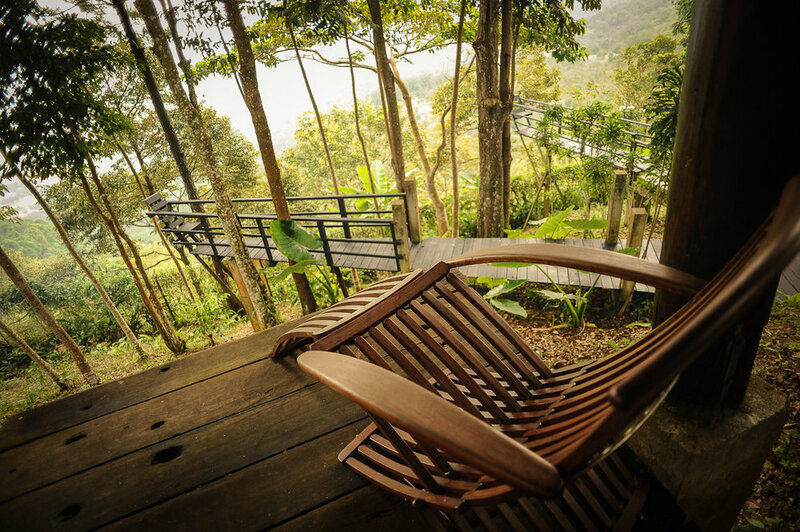 Malihom is a homegrown retreat tucked away in a 40-acre estate in Balik Pulau, Penang. 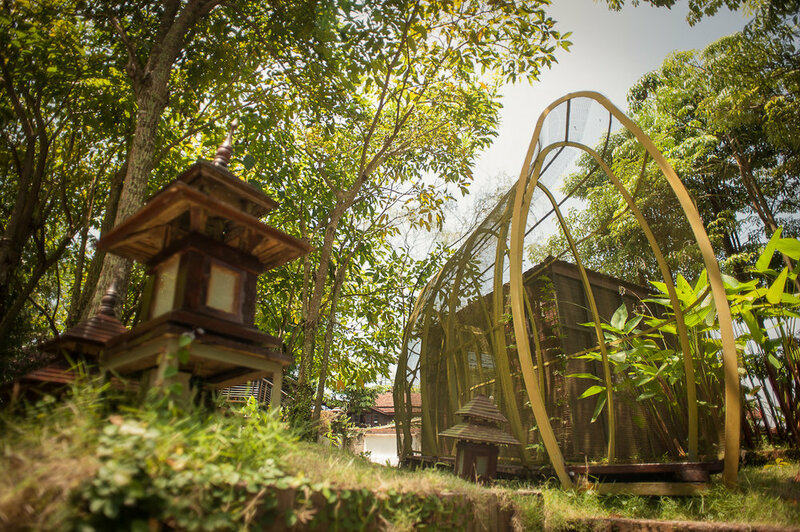 We are made up of a cluster of traditional Thai Lanna Rice Barns which have been converted into one bedroom 'villas'. 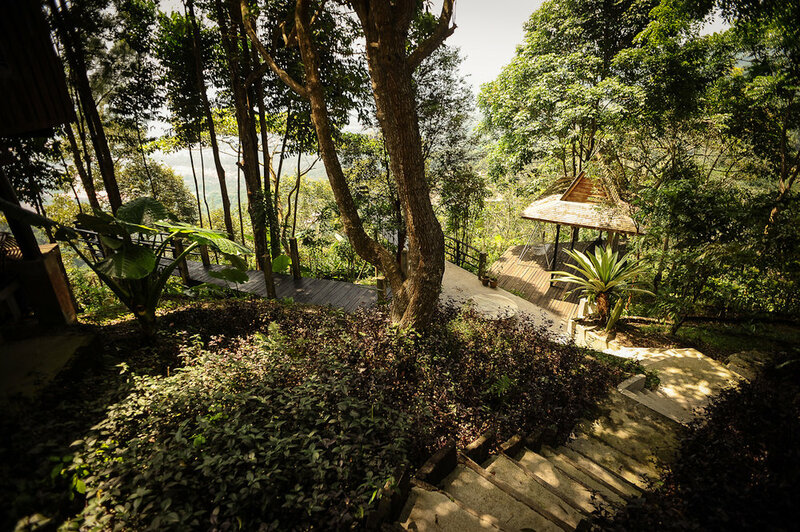 We offer ours guests comfy living in a rainforest environment - evolved rather than planned. Our guests also have the option of bed & breakfast or full-board accommodation. 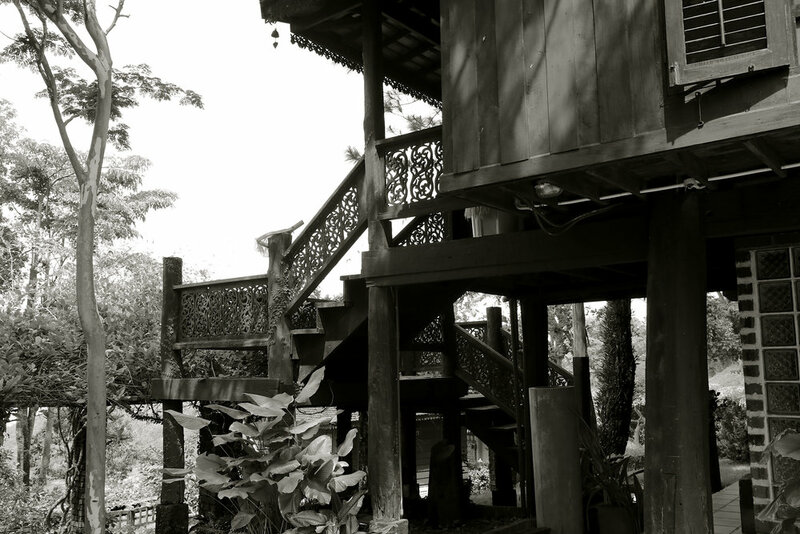 When you book a stay with us, you will be staying in teak barns that are now classified as Thailand's National Heritage. You will be among nature, in total calmness and comfort. Initially intended as a private holiday home, Malihom took seven years to build. 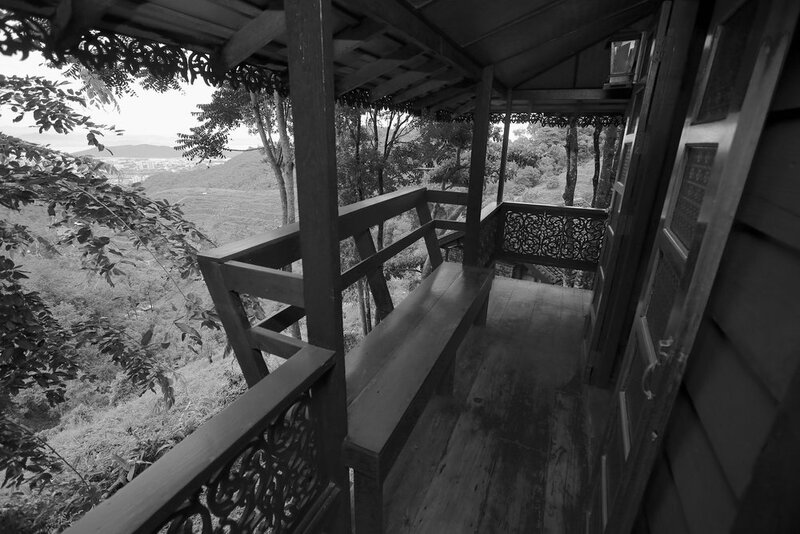 Like a jigsaw puzzle, each piece, including roof shingles had to be dismantled, shipped 2,000 km from Chiangmai to Penang and patiently reassembled back to its form. On a per square foot basis, Malihom took longer to build than the Great Pyramid of Giza. The barns, known as Lanna styled rice barns have been part of the Thai landscapes for hundreds of years. The name Lanna means “a million rice fields”, and often refers to the rich agricultural area of Northern Thailand. Lanna is also an earthly concept of simplicity and humility and heavily influences the way of life and architecture of the people in the region. Originally built as granaries and sometimes as temporary shelter for farmers, rice barns dotted the fields in the countryside for centuries. They form part of the history of farming in the region and exemplify the use of local building materials and building techniques. The design of the barns are simple with large columns, partially open to the elements and low-pitched roofs. Over time, as farming became mechanised, barns outlived their usefulness. Farmers struggled with putting the structures in good use. Today, there is an increasing move to inject new life into them, along with laws to protect and preserve them. Many of the barns that are over one hundred years old are now classified as Thailand’s National Heritage. The water you drink, bath and swim in comes from our natural spring. It tastes absolutely fantastic and feels soft on your skin! Wherever you go, the closest living thing you will see are trees... and more trees. Take a video tour of what it feels like to stay with us.